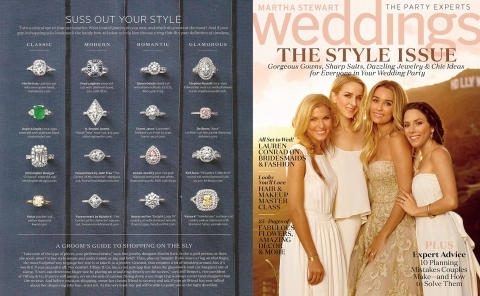 One of K. Brunini’s unique alternative engagement rings was featured in the Fall 2014 issue of Martha Stewart Weddings, in a piece called “Suss Out Your Style”. The rose cut twig engagement ring is just one piece in the K. Brunini Jewels couture bridal jewelry collection. For more information, visit www.marthastewartweddings.com.